McNamara Surf Trip: New web documentary follows surfer Garrett McNamara on the waves of the Portuguese coast. 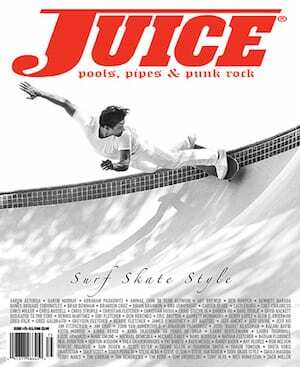 “McNamara Surf Trip” is a brand new web documentary about to be premiered by Turismo de Portugal. In it American surfer, Garrett McNamara, goes all over the country during 21 day in 7 regions, 2 archipelagos on a one off a kind surf adventure. “You only have to look at a map of Portugal to understand that few places in the world have so many great surfing spots at such a short distance,” the films explains. Garrett first arrived in Portugal and found Nazaré almost by accident. His biggest surprise, though, was not only the 100-foot waves he found, but the warmth of the locals. The new documentary is made up of seven films, or better webisodes, since its disclosure is provided only on the Internet. Each webisode is filmed in one of seven regions of Portugal, Porto e Norte, Centro, Lisboa, Alentejo, Algarve, Azores as well as Madeira. This new Portuguese Waves Series also features three events: SATA Azores Pro, the Cascais Billabong Pro, and the Moche Rip Curl Pro Portugal, Peniche. 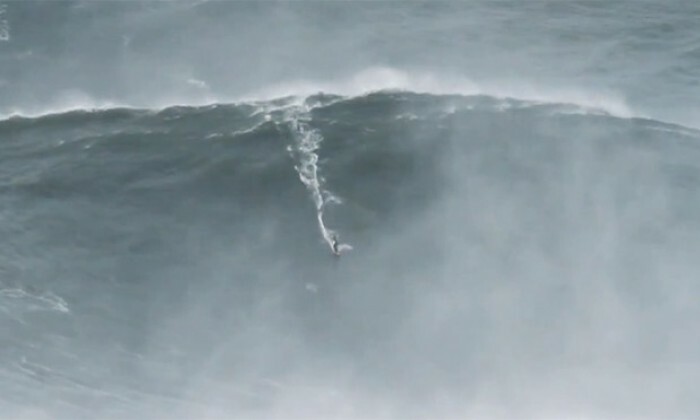 Garret McNamara surfed a 100-foot wave back in January 2013; at Praia do Norte, Nazare. That went down in history as the biggest wave ever surfed ever – making Portugal overnight the number one place in Europe to catch the waves not to mention one of the world’s leading destinations for those looking for surfing adventure. “Portugal has unique natural conditions for surfing and this is an important part of our communication strategy, contributing to the positioning of the country as a tourist destination,” said the President of Turismo de Portugal. www.portuguesewaves.com has all surfers need to know about Portugal and its beaches to organize a trip, including videos of international surfers, map with the best wave spots on the Portuguese coast and a listing of hotels located near the coast. Portugal is an excellent destination for surfers because it has the largest number of surf spots, located within walking distance of each other, ensuring the existence of world-class waves year round.